Summary: In Zimbabwe, where the government controls the airwaves, Gift Mambipiri challenges the status quo by putting radio stations on the air and by organizing campaigns for more access to information. His events have been raided by police and cancelled, workers have been arrested, and equipment has been confiscated. Still, he continues to advocate for people in all areas of the country to get information from sources other than the government. Profile: Some things we in the U.S. take for granted. For example, we assume that when we turn on our radio, we’ll have a number of stations to choose from—stations featuring music, or news, or commentary, or talk, or sports events. But not every country offers those options. Take Zimbabwe, for example: In Zimbabwe, the government controls the airwaves; if private individuals or organizations wish to operate a station, the government decides whether or not to allow them to do so. Many people in Zimbabwe think this is unfair, and at least one person has determined to do something about it. 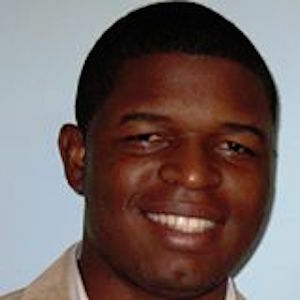 Gift Mambipiri is a “Development Communications Expert”. He studied both media and civic leadership at Oregon’s Portland State University, and he has put that learning to work in his home country. “In Zimbabwe,” says Mambipiri, “we have a problem of access to information, and this results in a lot of communities failing to access critical information . . . I have managed to set up a number of community radio stations in the country through ZACRAS, thus assisting communities that failed to access information.” ZACRAS is the Zimbabwe Association of Community Radio Stations, which Mambipiri runs. As a result of his efforts, remote areas in Zimbabwe—Plumtree, Gwanda, Hwange, and others—now receive information that was previously denied to them. As you might expect, this doesn’t sit well with the powers-that-be. “I have challenges with authorities,” admits Mambipiri, “who view my works as anti-government, and some of our members have been arrested whilst carrying out duties in communities.” Indeed they have; in addition to that, Mambipiri has organized a “Free the Airwaves” campaign, but several of his “road shows” have been raided by police, who have confiscated equipment. Mambipiri has countered those actions by establishing Kwelaz Community radio, on which he advocates the return of that equipment. That’s something else that many of us take for granted.